Frankel Patient, Ken Leslie, began Tent City in 1990 after hearing a statistic: over 60% of homeless families have children. This statistic made him angry, and fueled a light of inspiration that would take his life into a completely new direction, which he has followed for the past 25 years, leading him to an invitation to the White House and meeting Katy Perry. 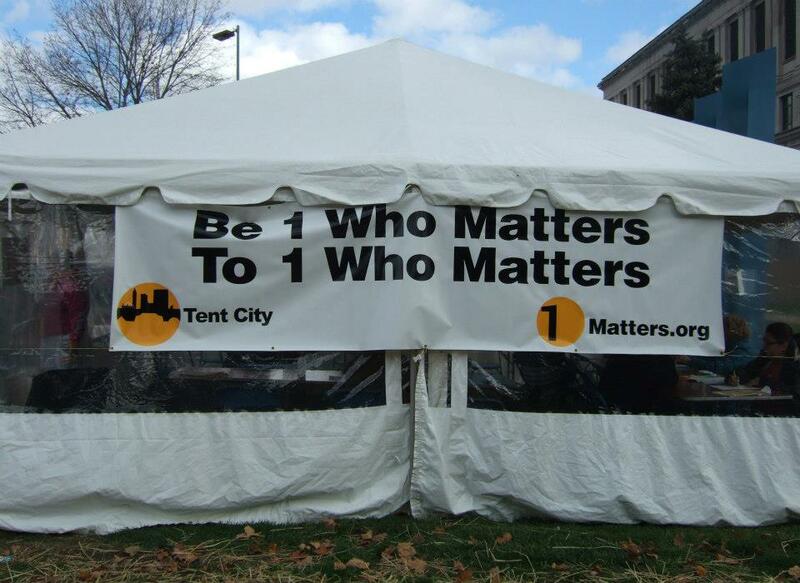 Tent City began as an event that allows area volunteers to “connect face to face with the homeless through music, coffee, and outreach programs from free haircuts to free medical exams,” says Tom Henry, a friend of Mr. Leslie. In 1994 Ken started a retained executive search firm for the high tech industry. 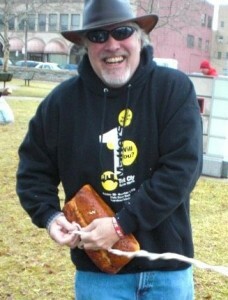 This allows him to add philanthropy to support those on the streets. At that moment, Ken was inspired yet again and formed 1matters.org, a non-profit organization that funds not only Tent City but several other projects which help the unhoused, including Toledo Streets and Veterans Matter. Being homeless in the 1980’s, Ken Leslie knows that the path to domestic autonomy is through financial autonomy. Toledo Streets is a paper with that mission, to give people without an income the possibility to sell papers for a cash profit by eliminating pan handling and replacing it with a self-driven enterprise and job skill development. When a vendor signs-up they are given 10 papers that will be sold for $1.00 each. Once these papers are sold, the vendor can use the cash to purchase more papers for $0.25 each. Each vendor gets to keep the $0.75 as their profit while at the same time learning how to form relationships with their selling-area clientele. Additionally, selling the paper allows vendors to list current employment on their resume, which improves their chances of further domestic autonomy by landing a more traditional job. Veterans Matter has one simple mission, house as many homeless veterans and veteran families as possible. Two years ago Ken had a discussion with Shawn Dowling with the VA, who told him that the only thing that was keeping many from housing was the deposit, and Veterans Matter was born to provide those deposits directly to the landlord. A call to Barb Petee with Promedica netted the startup funds in 7 days, and three days later the first veterans were housed. 11 days from inspiration to execution. Today Veterans Matter has housed over 400 veterans and their families in six states, and gotten the support of Katy, Dusty Hill of ZZ Top, Ice-T, John Mellencamp, Kid Rock Heart, Darius Rucker, and many more. Ken understands that this is only the beginning of this project and that there are still nearly 57,000 more veterans that need housed. 100% of the proceeds from the 1Mile Matters Walk here in Toledo on October 24th will go to help house even more unhoused veterans. To be a sponsor for the walk or join the movement visit 1Matters.org.